Yes, it’s that time again, falling leafs, falling doubts, falling spirits; but there is a brighter side, rising sun, rising hopes, rising aims. 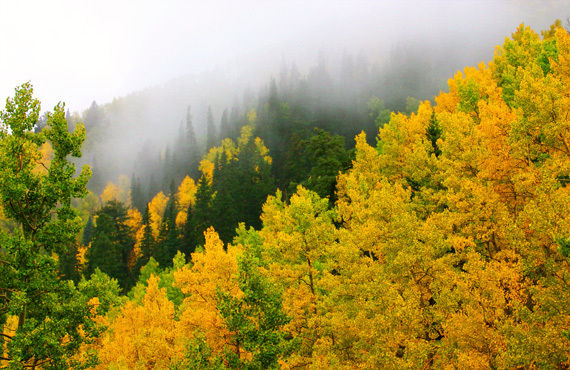 Our beautiful mountain village is again experiencing the beginning of fall, and with it comes Aspenfest, when we admire the turning of the leafs from green to glorious reds, yellows, and orange. This week end we are full of tourists who have ventured here to help us celebrate the turning of the seasons. There is to be a parade on Saturday morning, and for the first time in the sixteen some odd years since I have resided here, my beloved Democratic Party will not have a float. Due to circumstances beyond our control, we sadly came to the agreement it just would not be possible this year. I know we will be missed, it has always been so much fun, tossing candies, waving flags, responding to greetings, and I have to admit, even some boos. We are, after all, the minority in this Republican filled village. The auto show and chili cook off in Ruidoso Downs is also a part of this celebration. The vintage automobiles are beginning to be seen in all their shining glory. Stomachs are beginning to rumble at the thought of the tasting of the best chilis to be provided. All in all it is a wonderful way to start the season. For years and years, previous to our move here, we came , with our children and families, to spend this week end. We loved it, and it became a tradition, followed by our permanent move to this location. It has somehow gone by the wayside, with the death of my hubby, and we concentrate on meeting at Thanksgiving. I have a lot to be thankful for; I have survived two and a half years by myself. I will admit that I just existed for the first two years, and only for the past couple of months have started to live again. My job has a great deal to do with this new life, I meet and talk to people, carry on with my co-workers, who are all very supportive of me, and have even taken to flirting with the customers. I must shyly admit that I have had responses; it is quite a boost to my ego. So my aim now is to live this life to the fullest, never to forget the past, but to make it part of my future. I invite all my family and friends to tag along with me on this journey. What do you say, que dicen?